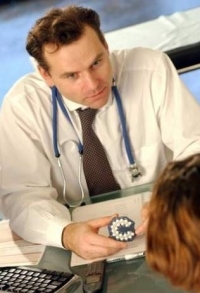 WHY DO PATIENTS CHOOSE TO CONSULT HOMEOPATHS? Background: Patients are using homeopathy in increasing numbers and not telling their doctors about it. It is important as family physicians that we understand the reasons why patients choose to consult homeopaths. It is important to know what our patients are looking for that they do not find in Western medicine. This information will provide valuable insights and enable us to engage with our patients in an informed and empathetic way such engagement being vital to maintaining an open relationship and providing the best possible care and advice. Methods: The aim of this study was to understand the reasons why patients choose to consult homeopaths. Eight free-attitude interviews were conducted with purposefully selected patients who consulted a particular homeopath in Gauteng province. The exploratory question was 'Why do you choose to consult a homeopath?'. The interviews were all conducted in English, transcribed verbatim, and analysed for categories and themes using the 'cut and paste' method. Member checks were done by verifying the transcribed data with the interviewees by e-mail. Triangulation of the data was done by audio-recording of the interviews, and using transcribed notes and field notes collected during the interviews. Results: All the participants initially consulted a homeopath after their health problems were not solved by mainstream medical treatment. Most were also concerned about the side effects of long-term mainstream medication. Many were frustrated with mainstream consultation or relationship factors, including rushed consultations, being asked too few questions and doctors being too quick to prescribe. Some participants said that doctors had a poor bedside manner, were difficult to talk to, and were judgmental or uncaring. The participants continued to consult homeopaths because they felt that the treatment was effective, natural and did not have side effects. They indicated that homeopathic treatment works with the body and health problems therefore are solved in the long term. This makes homeopathic treatment cheaper, because the same problem does not need to be treated repeatedly. Homeopathic consultations were longer, and homeopaths were easier to talk to and formed an equal partnership with them. In addition, problems were managed holistically mind, emotions and body, as well as work and family factors were considered. Homeopaths were considered competent and ethical and knew their limitations. Conclusion: From the reasons given for consulting homeopaths, we, as family physicians, can learn a lot about what patients consider important in their consultations and management. Frustration with some aspect of mainstream care has pushed them to look for solutions elsewhere Much of what the patients did not find with doctors but found with homeopaths can be found in the principles of family medicine. It will be important to validate the findings of this study by developing a hypothesis that can be tested using a quantitative paradigm. THE DIFFERENCE BETWEEN REGISTERED SOUTH AFRICAN HOMEOPATHIC PRACTITIONERS AND WHAT IS GENERALLY UNDERSTOOD BY THE TERM "HOMEOPATH"
Before the 1930's Homeopathic Practitioners graduated from Homeopathic Medical Schools and Conventional (Allopathic) Medical Practitioners graduated from Allopathic Medical Schools. Graduates from both schools registered with the same Medical Council and there was no distinction made between the graduates of these two sets of schools. Homeopathic Medical Schools were by far the most advanced and best equipped as compared to Allopathic Medical Schools. Some of the most renowned medical practitioners in history graduated from Homeopathic Medical Schools. After the deliberate oppression of Homeopathy by the American Medical Association in the 1920's Homeopathy was doomed to disappear from the frontiers of medical science. Naturopathic Practitioners, in an attempt to save and preserve Homeopathy, took it under their wing and started teaching Homeopathy as a subject or modality of Naturopathy. In the United Kingdom and Europe, courses were developed that covered only Homeopathy and no basic medical sciences were taught. This led to the formation of so-called lay-homeopaths. 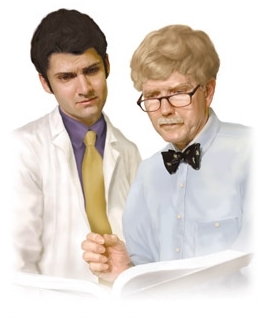 These lay-homeopaths were not allowed to diagnose or treat disease in any way whatsoever. As a result a form of Homeopathy called "Classical Homeopathy" developed. Classical Homeopathy does not treat disease and it's treatment approach does not require any diagnosis. It treats the person as a whole, particularly focussing on the mental symptoms exhibited by the patient. From here stemmed the confusion and Homeopathy is today still associated with classical homeopathy as practiced by lay-homeopaths, but had it not been for these interventions, homeopathy may have died and disappeared completely. The training of a homeopathic practitioner primarily differs from that of a conventional medical practitioner in that, where medical practitioners study surgery, homeopathic practitioners study Homeopathic Materia Medica (Detailed knowledge of homeopathic medicines) and Homeopharmaceutics (Homeopathic Pharmacy and Pharmacology). The rest of the subjects are the same for both. As a matter of interest, Homeopathic Practitioners are also fully trained in conventional medical pharmacology. SO WHAT IS A HOMEOPATH IN SOUTH AFRICAN TERMS REALLY? A registered Homeopathic Practitioner may diagnose and treat and prevent any condition in any patient. A person registered as a Homeopathic Practitioner in South Africa, being medically trained, could be described as a medical practitioner that treats his patients with homeopathic medicines, in accordance with homeopathic principles, supported by dietary advice and nutritional supplements. 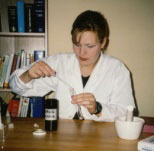 Homeopathic practitioners, also being fully trained in Homeopathic Pharmacy and Homeopathic Pharmacology are also, in a sense, Homeopathic pharmacists allowed to formulate, compound, prepare and dispense their own homeopathic medicines provided: they hold a valid License to Compound and Dispense Homeopathic Medicines from the Department of Health. A Homeopathic Practitioner is basically a doctor like any other. A consultation may be the same as a consultation with a conventional medical practitioner, or it may take a variety of other forms. Symptoms and signs are very important from a Homeopathic perspective as the symptoms of the condition as manifested in the patient needs to be compared to symptoms presented by the individual homeopathic medicines during provings. It is also for this reason that the history taking will often times be the longest part of the homeopathic consultation. Depending on the case, the History, Physical examination and special investigations altogether provide the totality of what the homeopath may require in order to determine the treatment. The difference between 'n Homeopathic Practitioner and a Medical Practitioner lies only in the type of medicines and treatment prescribed, administered and dispensed. Besides that it is all the same. MAY A HOMEOPATHIC PRACTITIONER ISSUE A SICK CERTIFICATE? a Registered Homeopathic Practitioner may issue a medical certificate of indisposition (Sick Certificate). Homeopathic Practitioners and Homeopathic Treatment are also fully recognised in terms of Section 20 the Unemployment Insurance Act, 2001 (Act 63 of 2001). MAY A HOMEOPATHIC PRACTITIONER REFER PATIENTS? A Homeopathic Practitioner is registered in a Diagnostic Profession, therefore anything reasonably required in order to obtain. differentiate or confirm a diagnosis may be requested by Homeopath. In terms of the Homeopathic Scope of Practice (HSOP), what may and may a Homeopathic Practitioner not do? The following is a direct interpretation of the HSOP in terms of how the Act currently reads. A scope of practice is determined by the profession's education and training curriculum as offered by the local recognised Homeopathic Schools, the provisions of the primary governing Act, Regulations and Rules made by the Allied Health Professions Council of SA (AHPCSA), other relative legislation and approved post graduate training. In terms of the Act a Homeopath may "diagnose physical and mental disease, illness or deficiencies in humans". This means that a Homeopathic Practitioner may generally diagnose any disease or condition. The physical examination of any person, taking into account the totality of symptoms and the modalities and peculiarities thereof, for the purpose of diagnosing any physical defect, illness or deficiency in such person." or any act which is an unacceptable act, standard or method, as from time to time determined by the board and which is brought to the attention of the practitioners." This means that, while a Homeopathic Practitioner may generally diagnose any disease or condition, the method of diagnosis has to comply with certain methods and standards that demonstrate such method to be diagnostically / medically accurate and reliable. In terms of the definition of a medical device in both the Allied Health Professions Act, 1982 (Act 63 of 1982) and the Medicines and Related Substances Act, 1965 (Act 101 of 1965), a medical device is considered "to be used in the diagnosis of disease". This means that a medical device should be used as a tool to assist in the diagnostic process and not for making a diagnosis by itself. From a legal ethical perspective, a diagnostic practitioner like a registered Homeopathic Practitioner or medical practitioner, are required to take a patient's medical history, perform a conventional physical examination and, where required, request special investigations. From this perspective these are the most important and everything else matters very little. The Homeopathic case taking, follows only in order to determine the treatment, management and remedy selection. It forms part of the therapeutic and not the legally required diagnostic process. 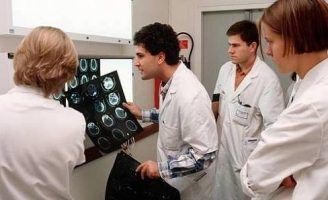 If the practitioner chooses in addition to make use of any alternative diagnostic techniques and methods, such as the use of novel medical devices and unorthodox or unconventional diagnostic methods these shall play only a supplementary role, and to assist in the diagnostic or remedy selection process. Only the registered Homeopathic Practitioner him/herself may consult with and examine the patient. Only the registered Homeopathic Practitioner him/herself may make a diagnosis. A registered Homeopathic Practitioner may use a medical device as a tool to assist in the diagnosis, but the practitioner must make the diagnosis him/herself based on medically verifiable information / methodology. This means that no medical device may make the diagnosis on behalf of a practitioner. Even where the manufacturer of a device claims that a particular device is able to render or suggest a diagnosis, such diagnosis must be investigated by the practitioner and confirmed by conventional accepted means. Irrespective of what tools or devices are used, the physical examination with history taking, being specifically prescribed in terms of the regulations, shall be the registered practitioner's primary means of diagnosis. A medical device may be used only as part of or in addition to the physical examination and case taking. A registered Homeopathic Practitioner may use alternative examination and investigation techniques to assist in the diagnosis, but only as part of or in addition to the history taking and physical examination which are specifically prescribed in terms of the regulations. 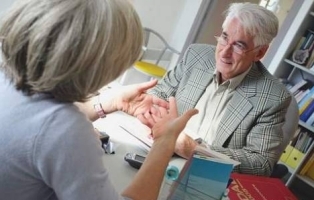 The physical examination of a patient, together with history taking to obtain the totality of the signs and symptoms, the modalities and peculiarities, is specifically prescribed in terms of the regulations. 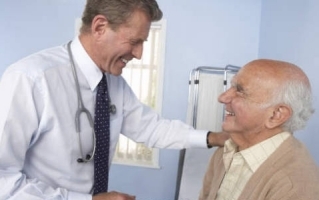 This means that a practitioner may perform a conventional physical examination and medical history / case taking in order to arrive at a diagnosis, irrespective of whatever further methods or devices are used. A registered Homeopathic Practitioner may employ side-room tests, such as urine dipsticks, glucometers and cholesterol meters, etc. A registered Homeopathic Practitioner may order special investigations such as radiological or pathological investigations where required.